has not previously had a first home saver account. The imputation system works by franking a distribution. The general principle is that the entity allocates franking credits to members by attaching franking credits to a distribution. For example, the entity earns $100 of profits and pays $30 tax. The entity pays a dividend of $70 to its members and attaches franking credits of $30. The entity is required to give each member a distribution statement which must contain required information about the distribution. A long list ofcompliance and integrity measures exists to prevent abuse of the system. 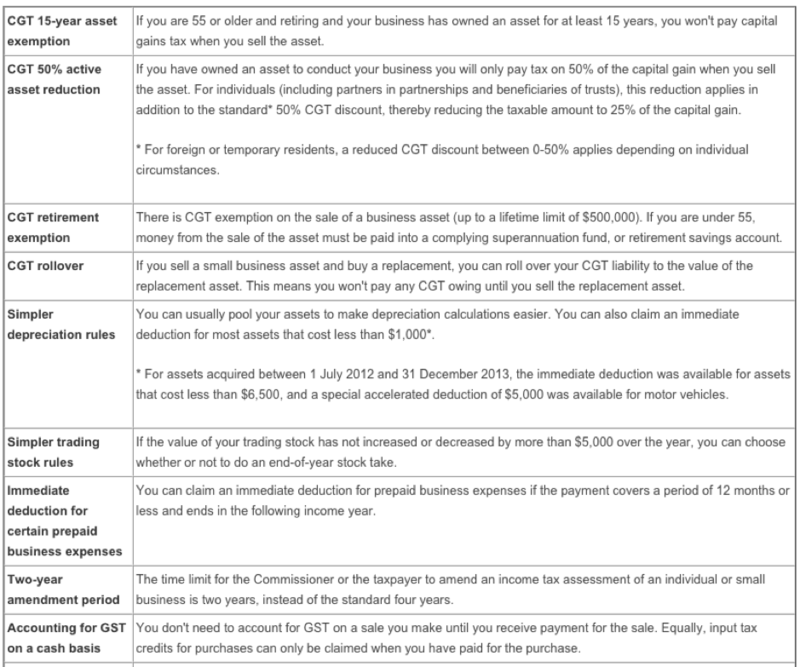 Eligible businesses can use the concessions outlined in the table below.